The knights are running about inside the tower trying to find the secret door. But in the crush they all tumble out of the castle door. Whoever can free the most knights wins the tournament. 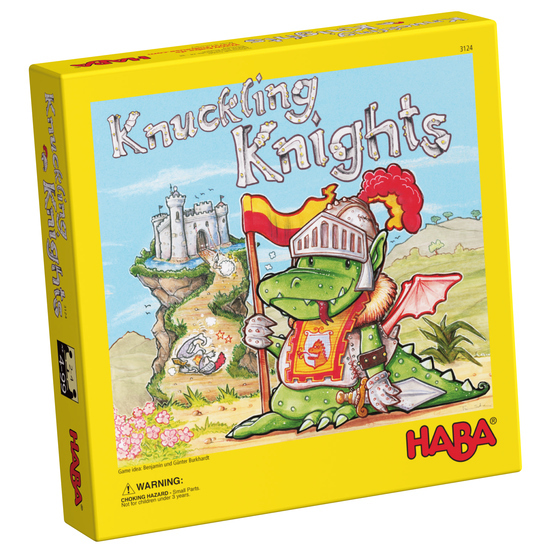 Contents: 32 knights (in four colors), 1 game board with castle tower and secret door, 8 rumbling coins, 1 die with special symbol, 1 set of game instructions.